Zagreb markets are a big tourist attraction. Dolac – the central fruit and vegetable market – imbues the city with a peculiar charm. It’s a place to get all of your senses occupied: sweet-smells of food, energetic voices of vendors, vibrant colours, and from time to time a tug at your arm during the busiest times. Though many people do their weekly shopping at supermarkets, somehow Dolac remains the city’s artery. You go there to get better, fresher food – but also to meet your friends for coffee afterwards. Visiting one of Zagreb markets is a ritual. And because Dolac is as much about shopping as it is about connecting with people, it can never be completely replaced by new food outlets. We are getting busier by the day. Even when we can’t afford a daily visit to the market, we still want the benefits of fresh seasonal food. Many Zagreb supermarkets already stock fresh fruit, cut and ready to eat. The trend is not of the same magnitude as in Wholefoods shops, but the principle is the same. The convenience of healthy eating without spending a lot of time getting it. Large supermarkets have competitive prices, but they don’t prioritize local producers. You will often find strawberries imported from Spain even when they are in season in Croatia. 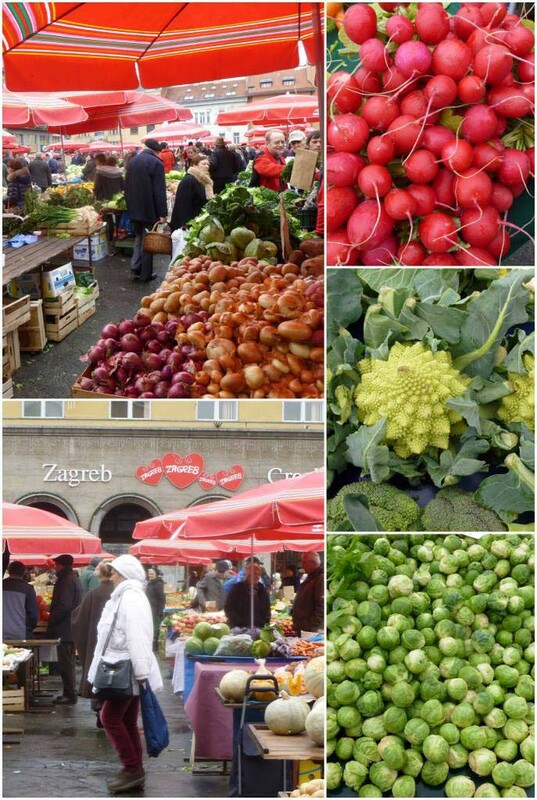 But, the idea of local and seasonal food is taking root in Zagreb. A curious fruit outlet recently emerged at the Zagreb bus station. 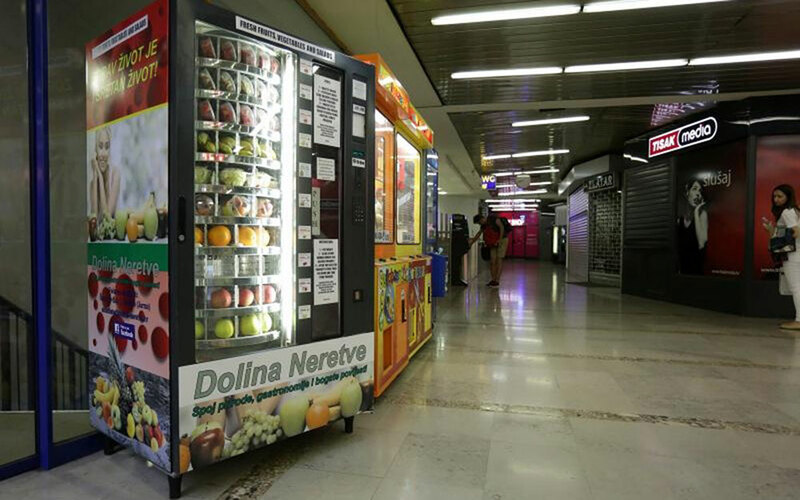 It’s a fruit vending machine, stocked with produce from the Neretva valley – Croatia’s well known agricultural area. The idea is to offer people a healthy snack 24/7. No doubt, the convenience is there: you get local, seasonal food without visiting Dolac, and even at the time of day when any farmers’ market is normally closed. 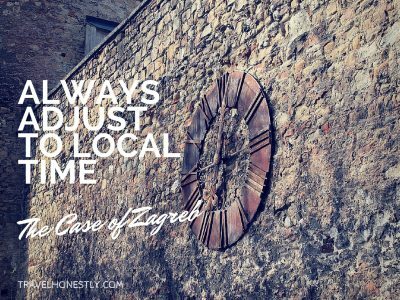 But there are even better places to forage for seasonal, local and even eco fruit in Zagreb! It all started with strawberries. 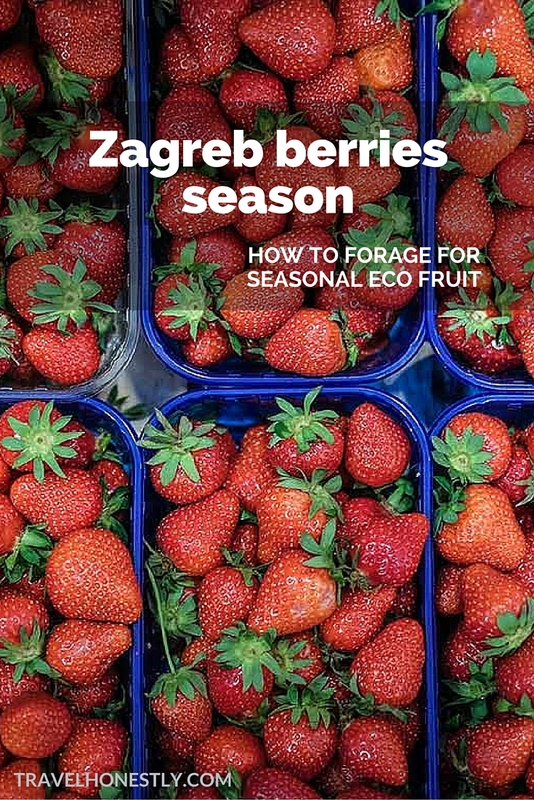 More than half of Zagreb fruit producers grow strawberries – and today they even export them. 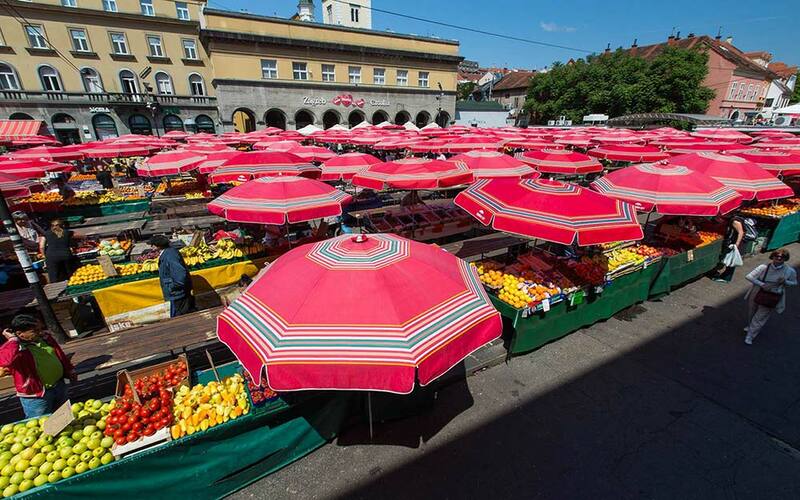 From mid May to end of September, Zagreb city centre is adorned with lovely red fruit stands. 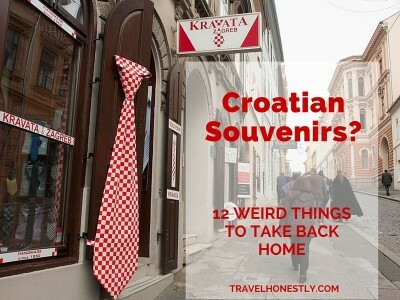 You must have seen them at King Tomislav Square, at the corner of Ilica and Frankopanska street or at Trg hrvatskih velikana. 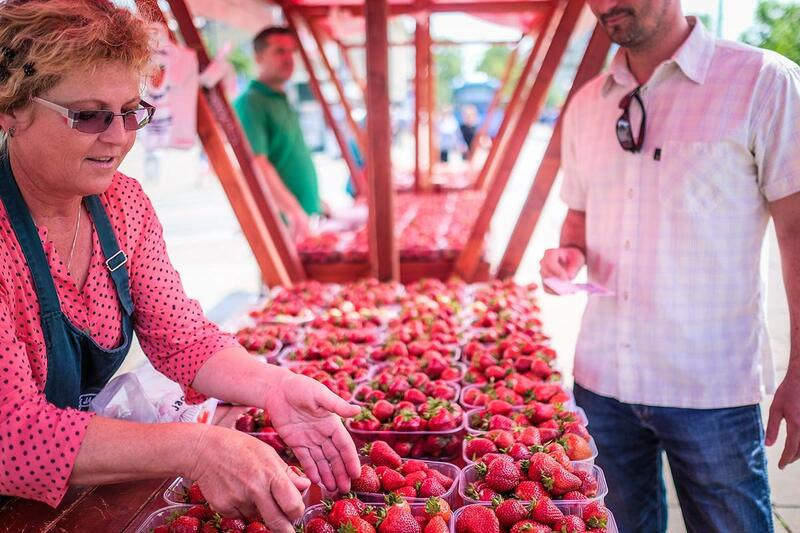 When Zagreb strawberries open the fruit stand season, it’s impossible not to notice them. The smell of fruit is intoxicating! 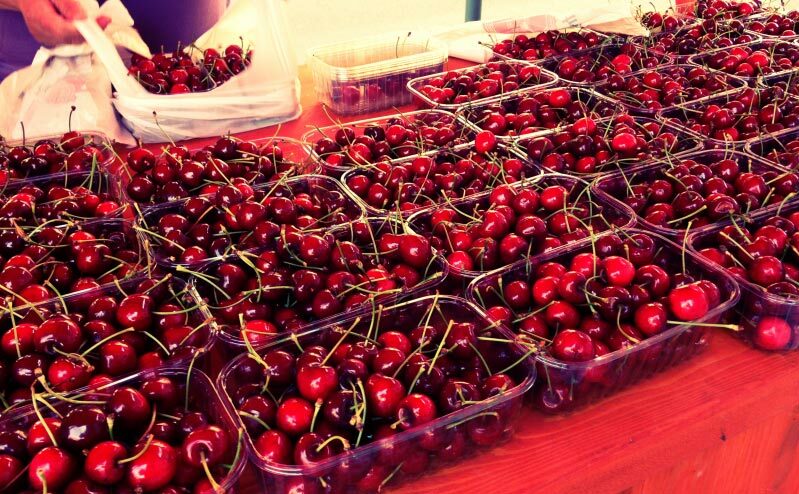 But as strawberries go out of season, the cherries come in. 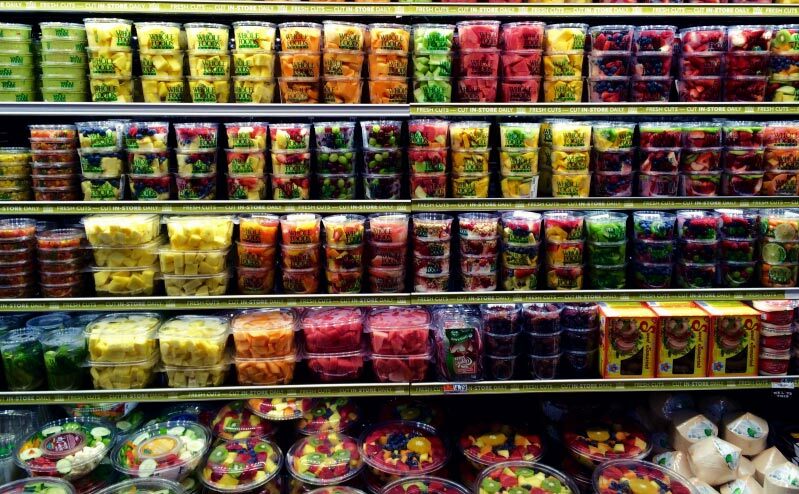 And so the fruit stand buzz continues into the summer. Cherries end in July only to be replaced by raspberries, blueberries and blackberries. 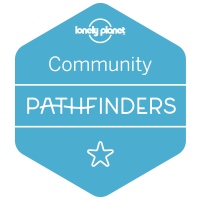 This year the association of blackberry producers have received the eco certificate. So for only 10 KN a punnet, you can savour the best seasonal and locally produced fruit. They also sell homemade products, such as jams and cordials. 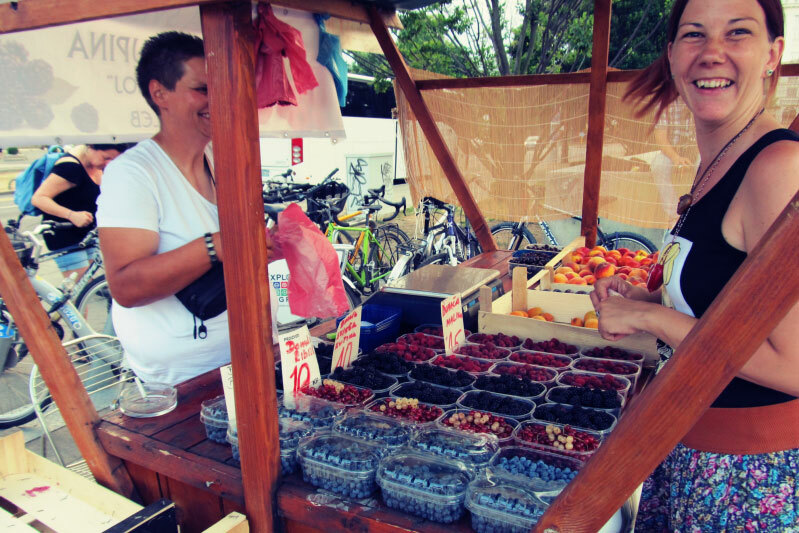 Zagreb fruit stands distribute fruit only from local producers – people who are registered as living in Zagreb. I know it’s hard to imagine fruit can be grown in urban areas, but that’s the big idea behind the project. This is as convenient as it gets: fruit producers are supported by city authorities and city dwellers and tourists get to eat healthy. Plus, fruit stands are open long after Zagreb markets close. 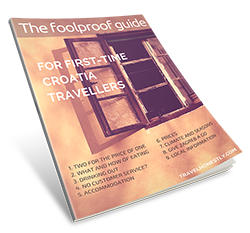 So, keep your eyes peeled and your nose alert for the sight and smell of fresh Zagreb fruit! Did you know that when you buy from a fruit stand, you are supporting green sustainable economy? So, forget about those withered plastic-wrapped berries in the supermarket. Go out in the streets and follow the luscious smell of the Zagreb strawberries. Get a punnet or two and have a fruit picnic on a nearby bench. Here’s some more inspiration for you. 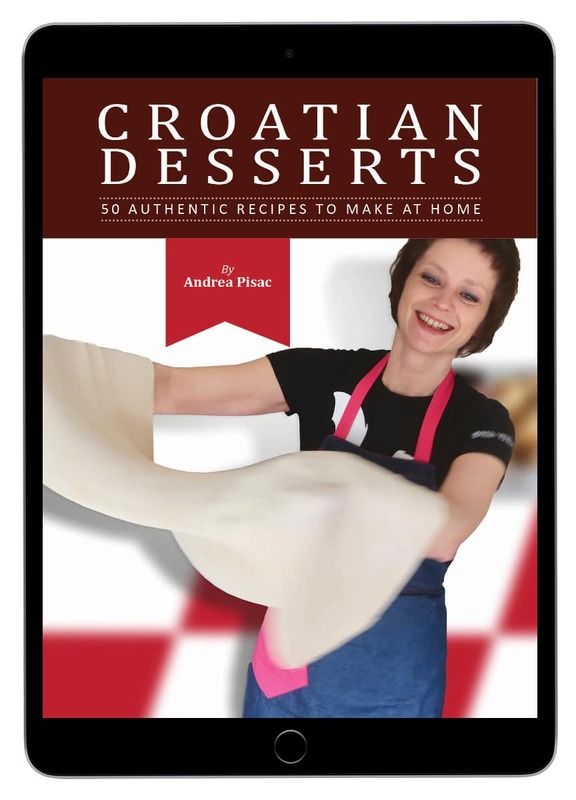 Discover more secrets why Croatian cuisine everyone is so smitten by the Croatian cuisine. 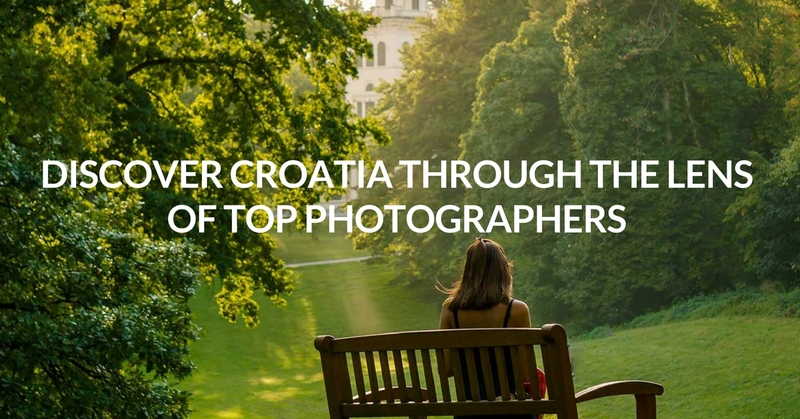 When you’ve replenished with food, start exploring other fun things to do in Zagreb. 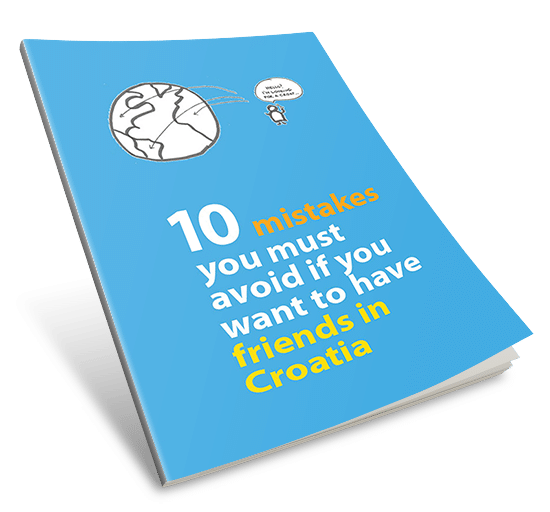 Dig into my ultimate guide!